Silverstack includes a comprehensive reporting center. We created it to give you more flexibility and possibilities in your daily workflow. Create customized reports with the new Silverstack – documenting your entire offload and backup tasks. Silverstack consolidates it’s flexible reporting capabilities in a powerful reporting center(see figure 1), providing customized reports for production and post-production. Silverstack provides shooting day reports with thumbnails and metadata as well as comprehensive, statistical summaries in well-arranged and beautiful PDF document. 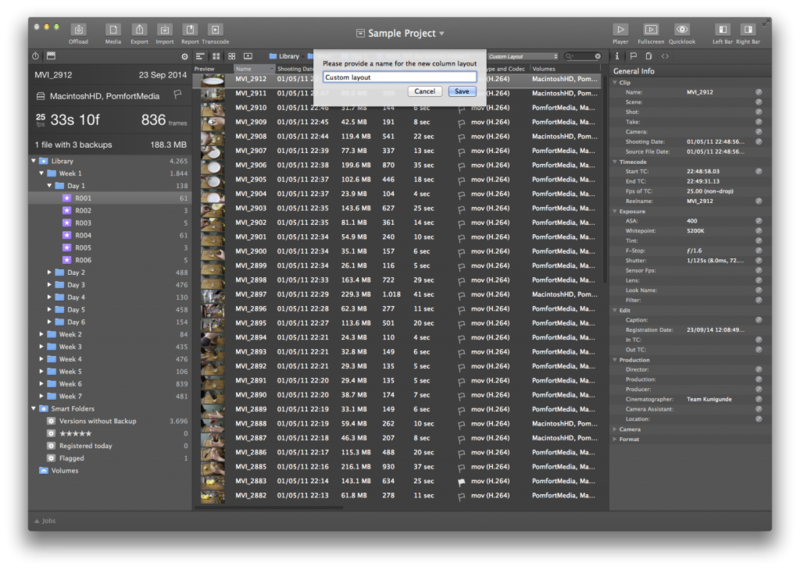 Reports include all the necessary metadata to document camera media traveling to workflow steps down the road. 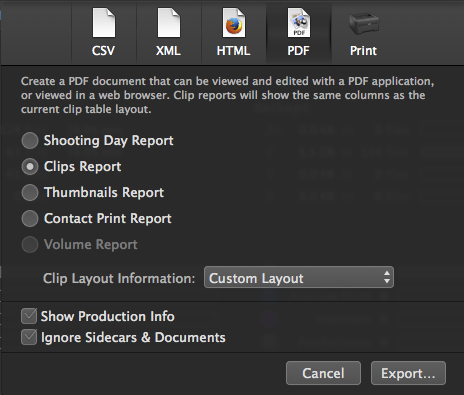 Silverstack can customize clip reports by right clicking on the table view columns like in figure 2. The same customized table view will show up in your clip reports. Simply select your required data and proceed to the report center to create a Clip Report. You can also customize your thumbnails to get a better preview in your reports. For more info refer to the article Choosing custom thumbnails images.